Satellites monitor sea level, wave height, wind speed and current movements from space. Like its predecessors, Jason-2 will obtain all these data from altimeter range measurements. Jason-2’s mission—or, to be precise, that of its Poseidon-3 altimeter—is to measure sea-surface height. 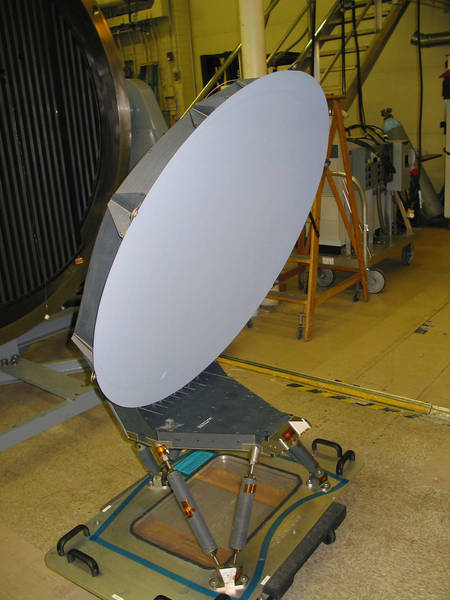 Poseidon-3 achieves this by bouncing a radar signal off the ocean surface. It then receives the reflected “echo” and calculates the distance—or range—from the satellite to the surface from the signal’s return trip time, since the 2 are proportional. The range (R) is derived by multiplying the time taken by the signal to reach the surface and its velocity. The satellite’s altitude (S) is determined by the 3 positioning systems. The sea-surface height (S–R) is the difference between the satellite’s altitude relative to the reference ellipsoid and the altimeter range. The shape of the reflected signal gives indications about wave height: if the ocean surface is flat, the reflected and emitted signals are similar; if it is rough, the larger the waves the more the echo and the emitted signal differ. 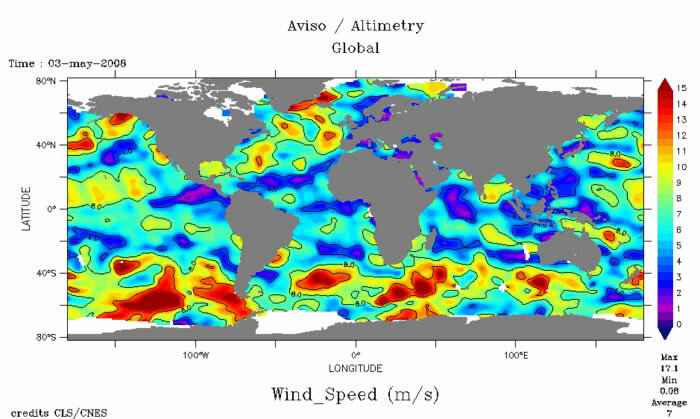 Satellite altimetry also reveals wind speed, current direction and seafloor topography. In other words, a single range measurement contains information about the entire water column and the ocean floor. But, to calculate sea-surface height (or sea level), we need to know the satellite’s exact position. This is where the 3 positioning systems—DORIS, LRA and GPSP—come in. These systems complement each other to give the satellite’s position with centimetre accuracy. However, altimeter measurements are distorted by water in the atmosphere. To correct for this error, the Advanced Microwave Radiometer (AMR) collects 3 signals at different wavelengths from the ocean. Le satellite, construit à Cannes, est arrivé à sa base de lancement le 29 avril, après un voyage de plus de 9 800 km à bord d'un Boeing 747. Des équipes du CNES de Toulouse l’ont précédé et prendront en charge la phase finale avant lancement. Une ultime série de tests sera effectuée avant la mise sous coiffe du lanceur. Le lancement est prévu le 15 juin à Vandenberg (Californie) à bord d’une fusée Delta 2. Each signal is sensitive to a different parameter: the speed of the 1st signal is affected by water vapour, the 2nd by surface wind effects and the 3rd by non-precipitating clouds. The AMR is a passive sensor that collects certain signals from the ocean and deduces atmospheric parameters, for example, clouds and wind speed. One of the AMR’s components is sensitive to variations in the ocean surface caused by winds. It therefore indirectly indicates wind speed, which can then be mapped for the benefit of sailors. These 3 parameters are derived from the return trip time of each signal emitted from the satellite. They are then used to correct the altimeter measurements and fed into ocean forecast models.